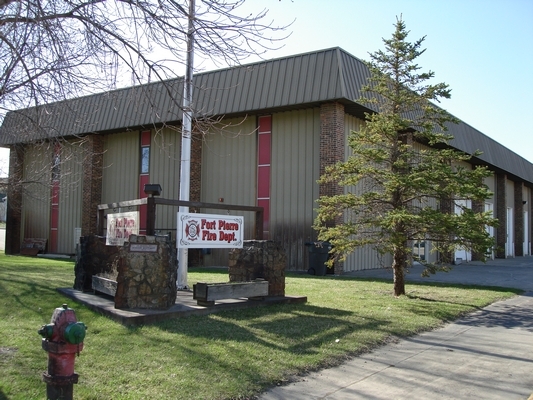 The current and only station within Fort Pierre city limits was purchased and erected in 1976. 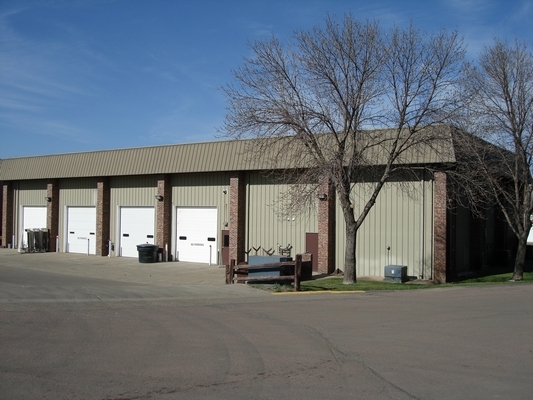 It is located at 305 N. Deadwood Ave., just a block north of historic business district. 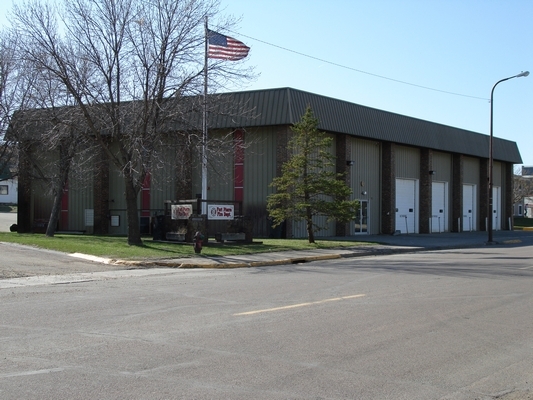 The hall is home to two pumpers, one ladder truck, two tanker/tenders, two type 6 brush fire trucks, one brush ATV, and one command vehicle. With eight bays, the station is a cozy fit for all our apparatus. 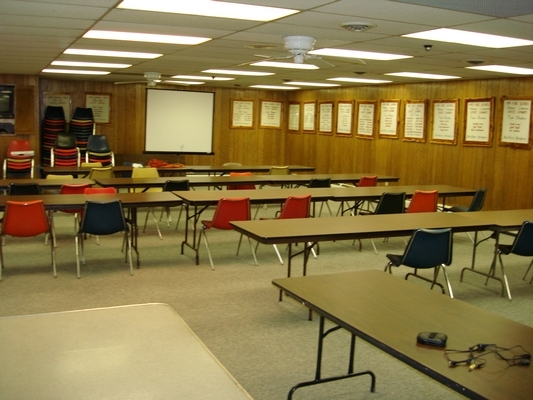 The upstairs functions as a meeting room with the ability to seat 100 to 125 people and is available for community use at no cost. The department does accept donations to offset the cost of cleaning and repairs. The space provides a television wired for surround sound, and a dvd and vcr player. 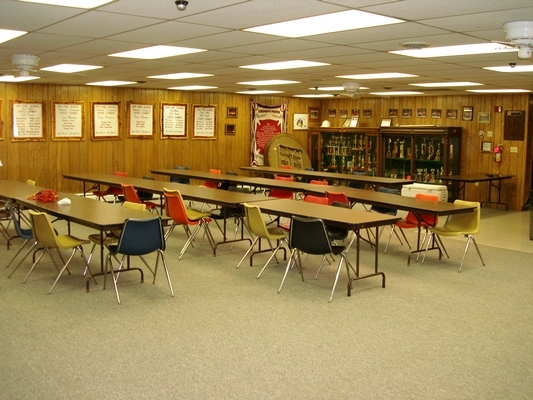 Plenty of tables and chairs are available for your group functions. 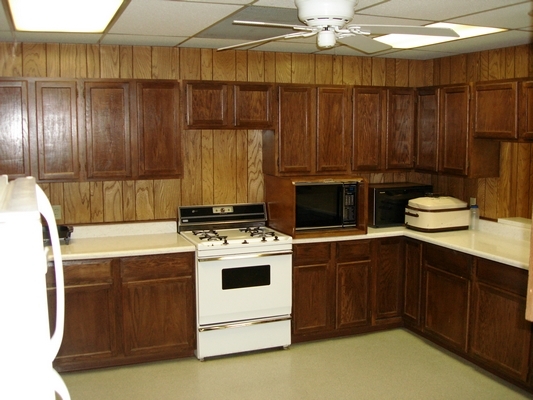 A completely equipped kitchen allows for users to cook and prepare meals for events. For larger events, a brick barbecue can be accessed and used by seeking prior permission.